Semi Another Day. I didn’t have time to learn the end, so I did a lazy half improv of the tail end of it. Nice! 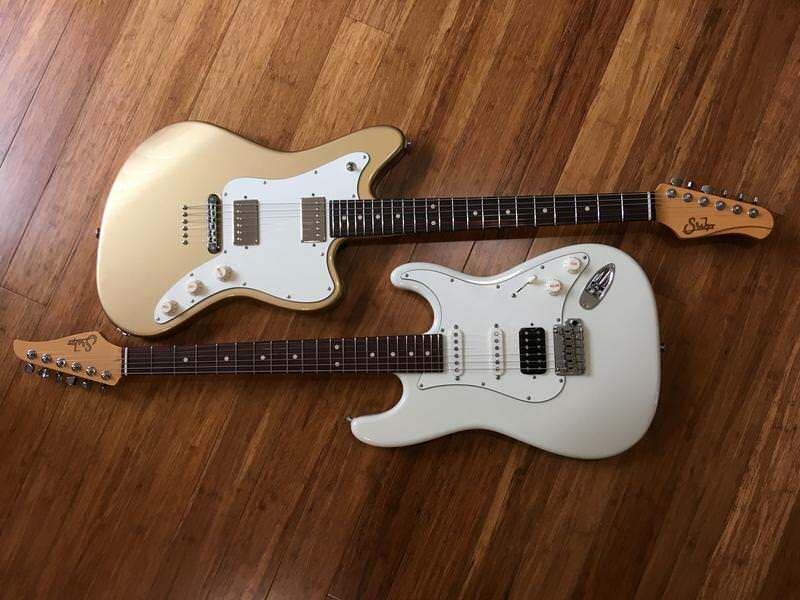 What're the specs on the Suhr? I had this one made for me, and I’m in love! Basswood body, waterfall Burl top, solid pao ferro neck and board. DSH+/DSV, 5 way. Bigger modern elliptical neck. fatbagg wrote: I had this one made for me, and I’m in love! Basswood body, waterfall Burl top, solid pao ferro neck and board. DSH+/DSV, 5 way. Bigger modern elliptical neck. Nice! How're you liking the DSH+? I absolutely love it, one of the better pickups I’ve ever owned. I suppose, however, that it could also be mediocre and the guitar is just that good haha! It’s all wonderful. Very dynamics, warm, allows you to be yourself. Genuinely does it all. fatbagg wrote: I absolutely love it, one of the better pickups I’ve ever owned. I suppose, however, that it could also be mediocre and the guitar is just that good haha! It’s all wonderful. Very dynamics, warm, allows you to be yourself. Genuinely does it all. It's probably a combination of both a great guitar, and a great pickup! I just had Suhr #2 arrive over the weekend, and I'm thinking about swapping out a pickup or two. Anyway, cool guitar and great playing! Awesome! Pics? Also, what pickups/sound are you looking for? They both currently have an SSV in the bridge...which is a great sounding pickup. I'd like something a little hotter in the JM though. I've had the Aldrich set in a Les Paul before (which sounded great) but I'm wondering if in the alder bodied JM the DSH+ might be a better fit. Probably so, the DSH* is both hot and a very rounded and warm pickup. It has surprised me, I dig it. It is a perfect picture of dynamic and powerful, awesomely versatile and smooth. What a beauty! Love that pickup!